Today I am going to share a writing strategy with you. If you are a teacher or even a parent, you can benefit from this little handy tool since this can be used at home or in the classroom to enhance your child’s vocabulary and writing skills. Since the FCAT Writes is something we practice for since September, I strive on making sure my love bugs use advanced vocabulary to increase their writing scores. I decided to create a graveyard of dead words. Each tombstone has a dead word and the grass in front of it has the better word choices for that dead word. 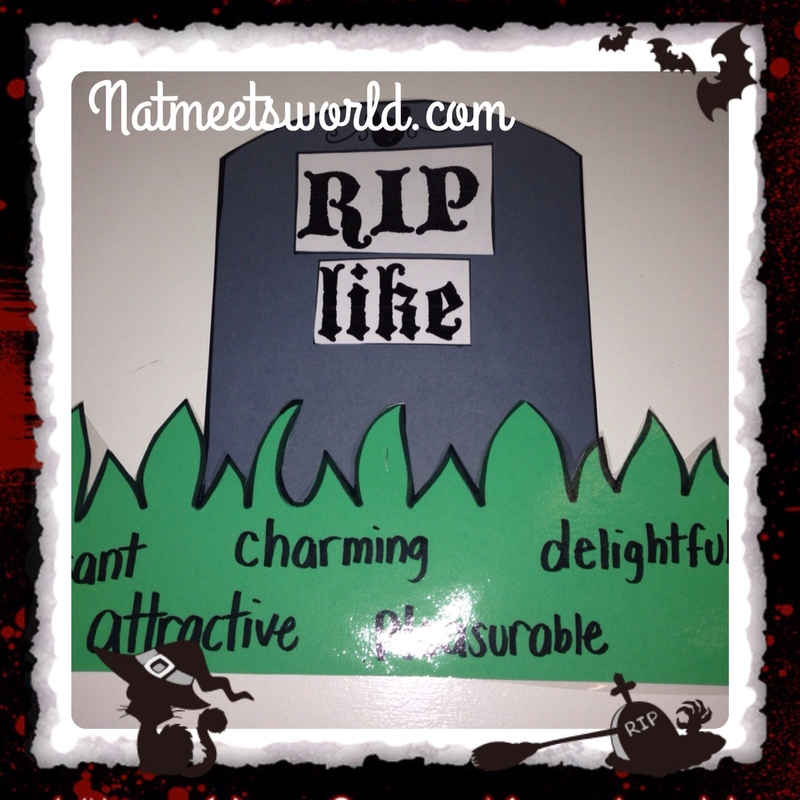 I put the ‘boring’ words on the tombstones and told my students they died with funny stories that I came up with for the death of each word. For example, ‘Smart’ went to school one day and was introduced to a new student named ‘Ingenious’. He was jealous and started to study his brains out to make sure his grades were better than ‘ingenious’ but he burnt out his brain, and passed. The kids laughed a lot and were then introduced to words that sound better than ‘smart’. I placed the words that resemble smart in the grass that is in front of each tombstone. The same procedure was done for each ‘dead’ word. 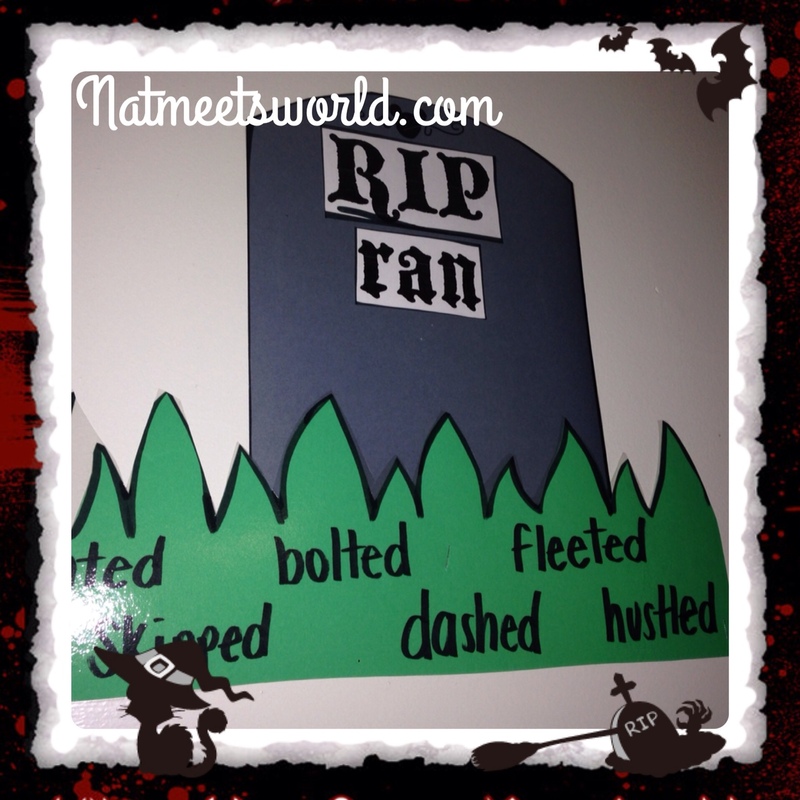 I lined up the tombstones in a line to resemble a graveyard on the wall for students to refer to when writing. For the decoration, I decided to use a creepy font to give it more of a graveyard vibe. 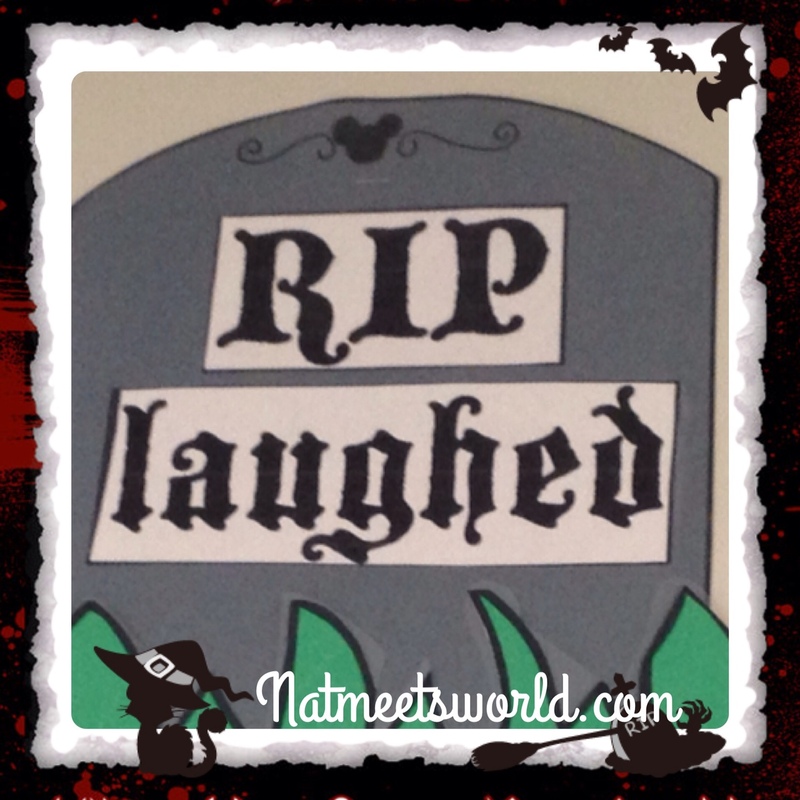 The font that I used is ‘Blackmoor LED’, and I of course added a Mickey silhouette at the top of the tombstone to go with my Disney themed classroom. Unfortunately, they will not be able to use it for the writing test, but I will say that they have memorized most of the words since they use them everyday. 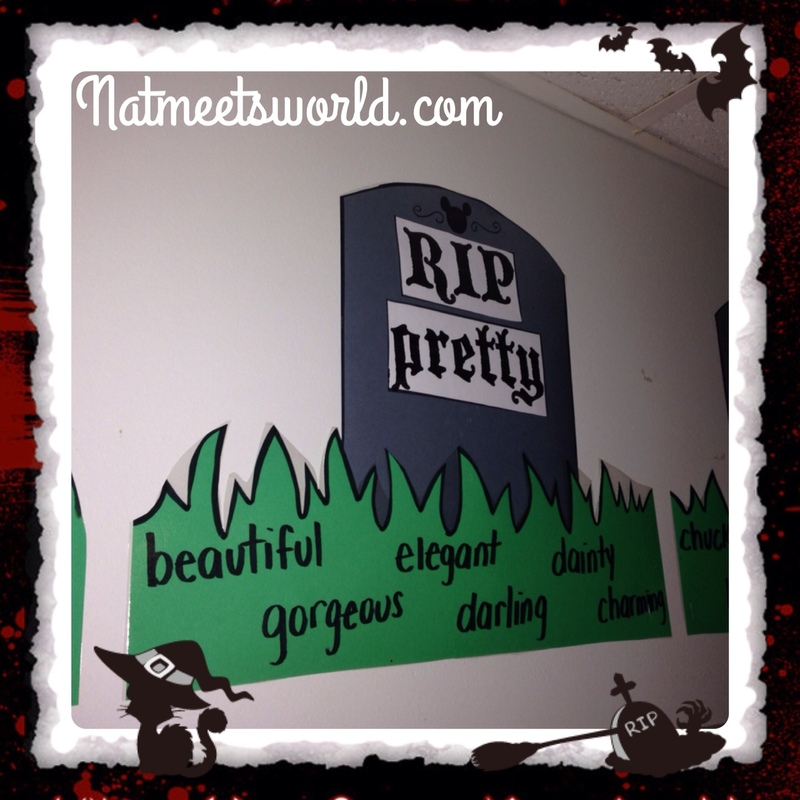 This was introduced during October so it went well with the Halloween theme. If you are trying to improve your child’s vocabulary, try this out. Have them think of words they can use instead of the dead words. Enjoy! Disclosure: All pictures and ideas are my own.